The City of LaFayette takes P.R.I.D.E. in providing quality public service to its residence in a variety of ways such as keeping city streets and sidewalks clean with safe roadways, a well maintained cemetery and consistent brush removal. Public Works breaks down into four operations: streets and rights-of-way, solid waste, cemetery and city-wide vehicle maintenance. The department consists of around 17 employees who cover around 58 miles of roads. A committed crew dedicated in a team effort within the city to provide a clean and well maintained living experience for its residents. 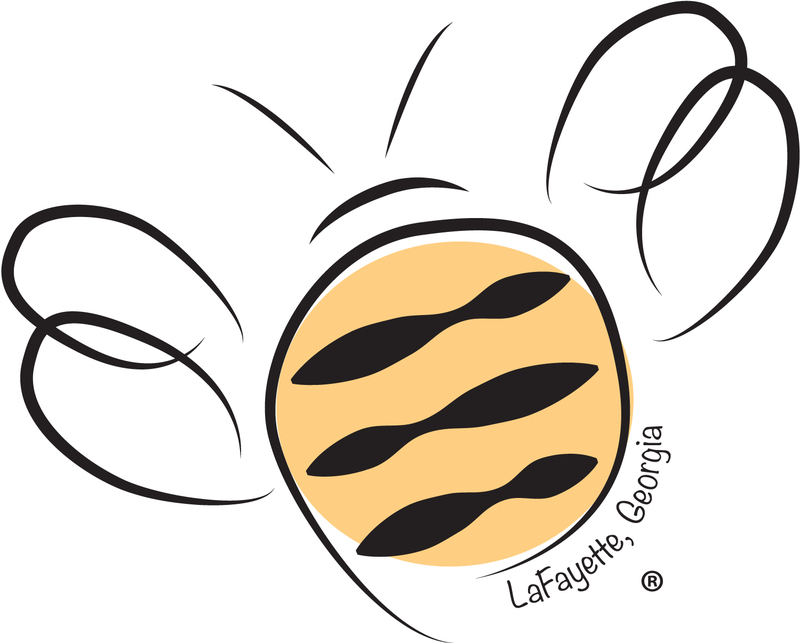 Whether it’s keeping ditches clean, filling up potholes, sanitation and garbage removal, or debris pickup; you’ll find the City of LaFayette Public Works leading the charge. It’s a team effort, Public Works Director Rodney Parker said. The solid waste operation is responsible for the collection of residential and commercial garbage—once per week—including yard trimmings and leaf pickup from November through February each year. The city also operates a recycling program consisting of unmanned recycling dumpsters for paper and glass. The recycling area is located on Napier Street across from the Walker County Jail facilities. Sanitation uses one-armed trucks to handle trash pickup. The cans are required to be placed a certain way or the arm will not be able to pick it up. Also, there must be a 4 foot clearance in all directions around the can—including a residence with two cans—which must be sat 4 feet apart. The metal bar along the front of the can must be facing the road with the lid closed. The street operation is responsible for maintaining all city streets, including drainage, street sweeping, sidewalk repair and improvement, asphalt paving and patching, as well as roadside mowing and sign maintenance. The vehicle maintenance operation handles the maintenance and repair of city equipment, including lawn mowing equipment, automobiles, trucks and heavy equipment. Public Works also maintains the city cemetery. The department digs the grave lots, cleans up after a burial service and maintains the grounds. Lots are also sold through the department. If inclement weather strikes the city, Public Works is there to provide the residents with safe roadways, which includes the salting of roads during icy conditions, snow plowing and the cutting of downed trees along city streets. 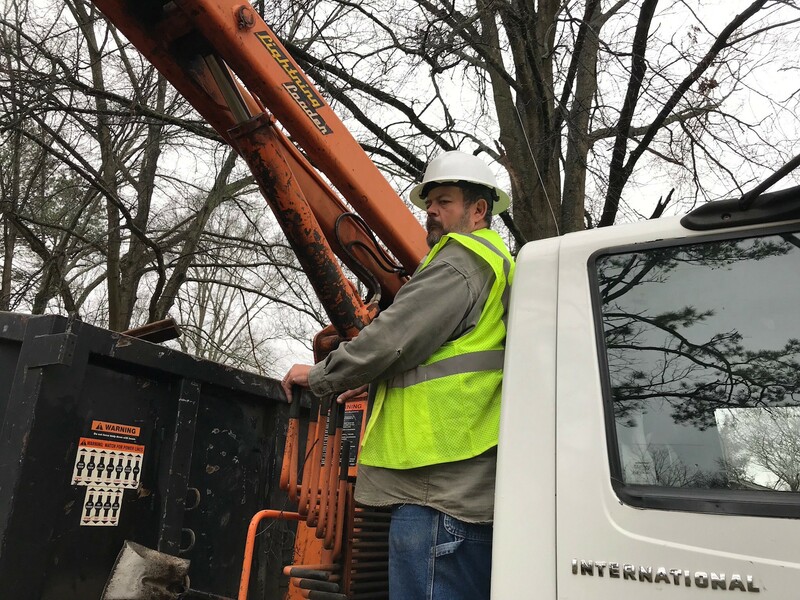 Public Works team up with the City of LaFayette Electrical Department during this time as the two are on the scene maintaining safe travel for the city’s residents. “In inclement weather, I would say that’s where Public Works really steps up, because we are out there—even if it takes all night—keeping the roads safe from trees in the road or snow and ice. It’s our job to make sure you can get up the next morning and make it to work,” Parker said. Parker said Public Works strives to make life easier for the community. “We do what we need to do for the residents of the City of LaFayette,” Parker said.